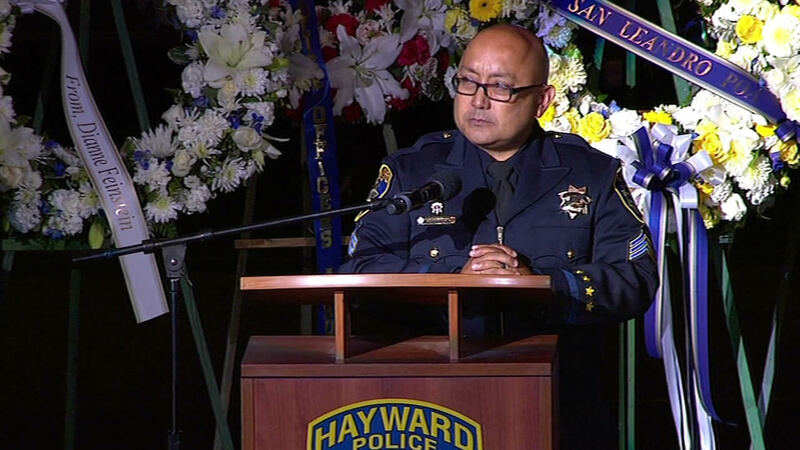 OAKLAND, Calif. (KGO) -- Thousands gathered at Oracle Arena on Thursday, July 30, 2015 to honor Hayward Police Sgt. Scott Lunger. The 15-year veteran of the force was shot and killed while conducting a traffic stop on July 22, 2015. He leaves behind two daughters. WATCH VIDEO: Sgt. Lunger's daughter Saralyn on her father: "My dad wasn't afraid to die. We talked about it a lot and he always said that dying is a part of life and the only thing we can do is to enjoy every day that we get. I think that my dad always knew that something like this was going to happen. And I truly believe that if he had to go, this was the only honorable way for it to happen. And even though the pain of missing him will never go away, I know that my mom, my sister, and my family will survive this because were the luckiest people in the world to have him in our life, a warrior." 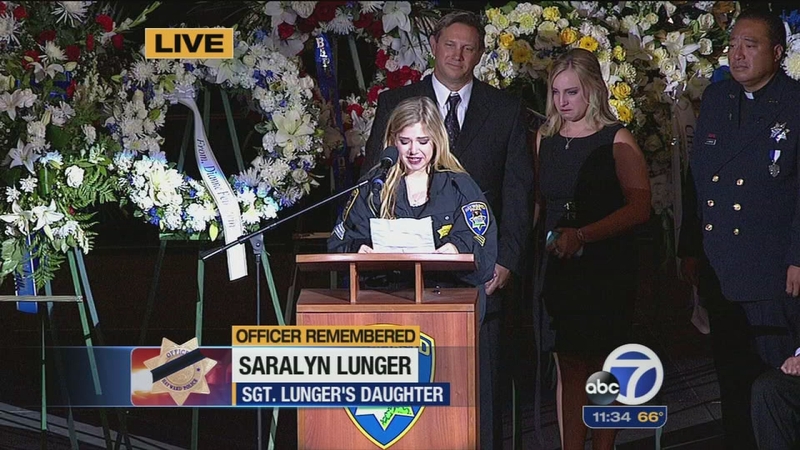 During an emotional memorial for fallen Hayward Police Sergeant Scott Lunger, his daughter Saralyn gave a moving speech. WATCH VIDEO: Sgt. Lunger's daughter Ashton on her father: "This isn't fair. This is pain you can't put into words because it's just not real. And I am so angry when I have to realize that it is. Because you were my best friend. And no little girl should have to say goodbye to her heroic best friend." 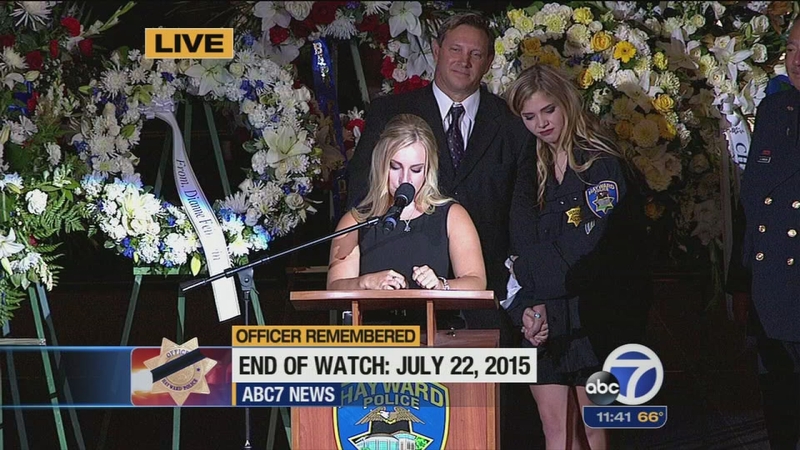 During an emotional memorial for fallen Hayward Police Sergeant Scott Lunger, his daughter Ashton gave a moving speech. WATCH VIDEO: Sgt. Scott Lunger's father Paul on his son: ""Dear son... son, that is a word with many meaning. A friend, a buddy, someone to laugh with and play ball with, someone to encourage, comfort, protect, teach, and to enjoy. You, Scott, you were my son and you were my sunshine. You brightened my days." 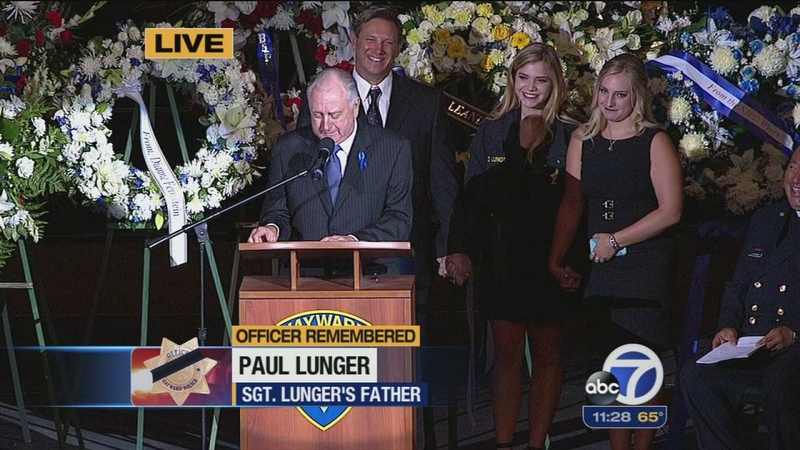 During an emotional memorial for fallen Hayward Police Sergeant Scott Lunger, his father gave a moving speech. WATCH VIDEO: Sgt. Scott Lunger's big brother Mike on his brother: Over the last few days, I've heard some amazing stories from your brothers and sister in law enforcement. They looked up to you. Honest, compassionate, hardworking, giving of yourself, loving, fearless, eager to serve others. Well, little brother, the tables have turned. It is your big brother who now looks up to you." 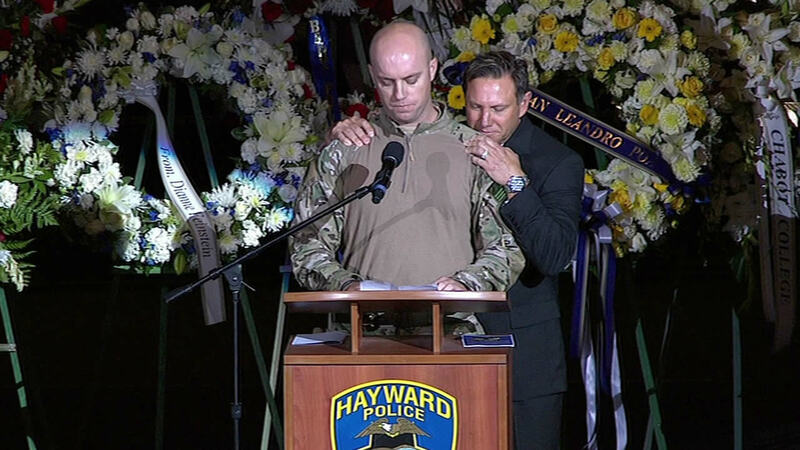 During an emotional speech at fallen Hayward Police Sgt. Scott Lunger's memorial, his older brother Mike said, "Well, little brother, the tables have turned. It is your big brother who now looks up to you." 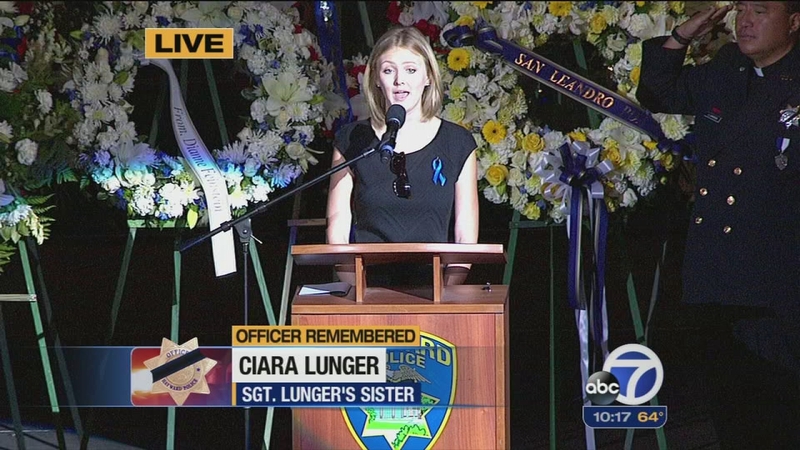 Ciara, sister of fallen Hayward Police Department Sgt. Scott Lunger, sang the national anthem at Oakland's Oracle Arena on Thursday, July 30, 2015. 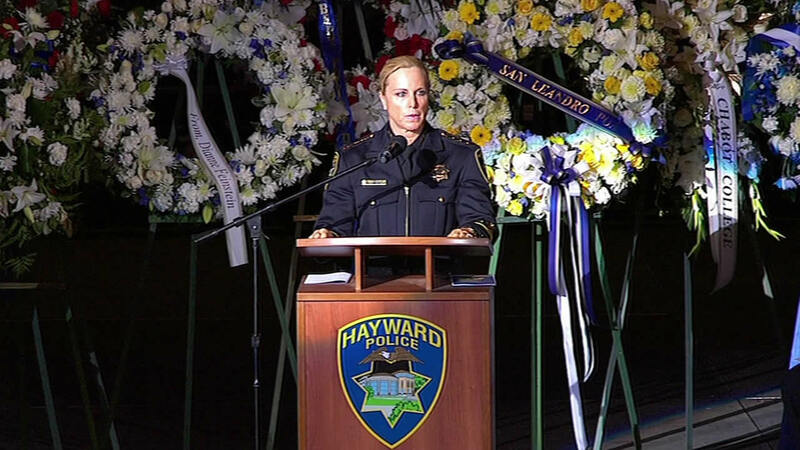 WATCH VIDEO: Hayward Police Chief Diane Urban on Lunger: "He led from the front and was ethical, driven, funny and stubborn. Scott personified the warrior spirit and was an example of how we should lead our lives every day." 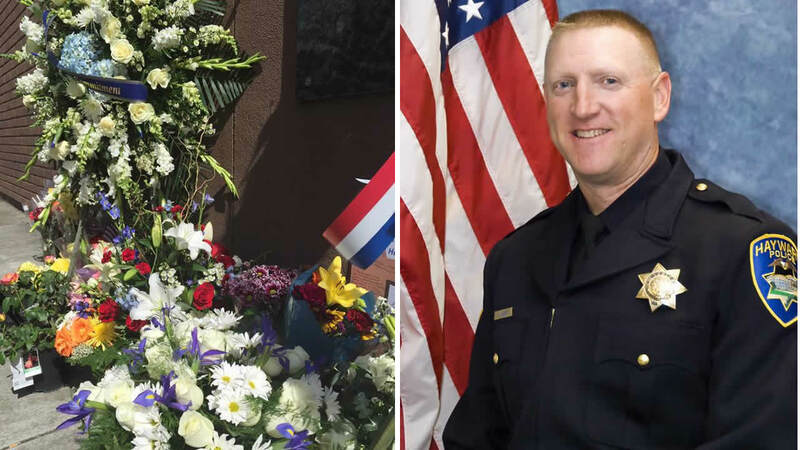 Hayward Police Chief Diane Urban described fallen Sgt. Scott Lunger as a hardworking, ethical, and funny person who will be missed by all. WATCH VIDEO: Sgt. Phil Divinagracia gives eulogy: Sgt. Lunger "died doing what the sheepdog is supposed to do. He died protecting his flock." During a eulogy for fallen colleague Sgt. Scott Lunger, Hayward Sgt. Phil Divinagracia said the 15-year veteran "died doing what the sheepdog is supposed to do. He died protecting his flock." WATCH VIDEO: Hayward Officer Justin Green on his partner: "Sgt. Scott Lunger was my mentor, my sergeant, my partner, and my brother. Sgt. Lunger had a saying, 'warriors work at night.' I can only hope I've done him proud." Hayward Officer Justin Green, partner to fallen Sgt. 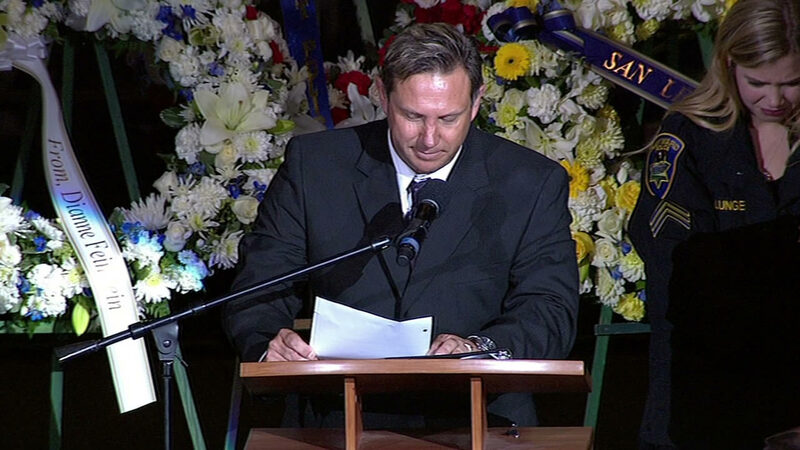 Scott Lunger, became overcome with emotion at the memorial Thursday. 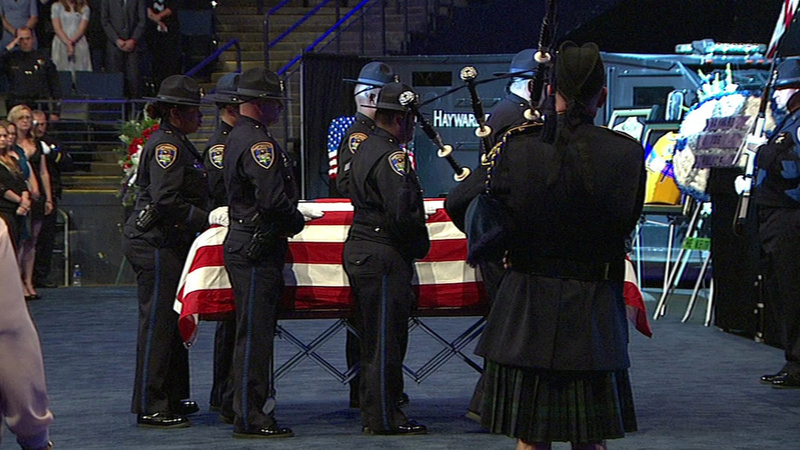 Bagpipers played Amazing Grace while officers stood watch over fallen Hayward Police Sgt. 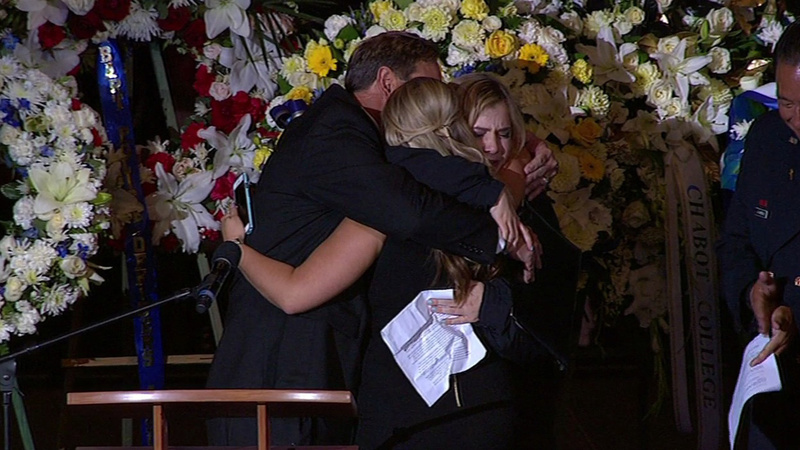 Scott Lunger's casket at his memorial at Oracle Arena in Oakland Thursday. 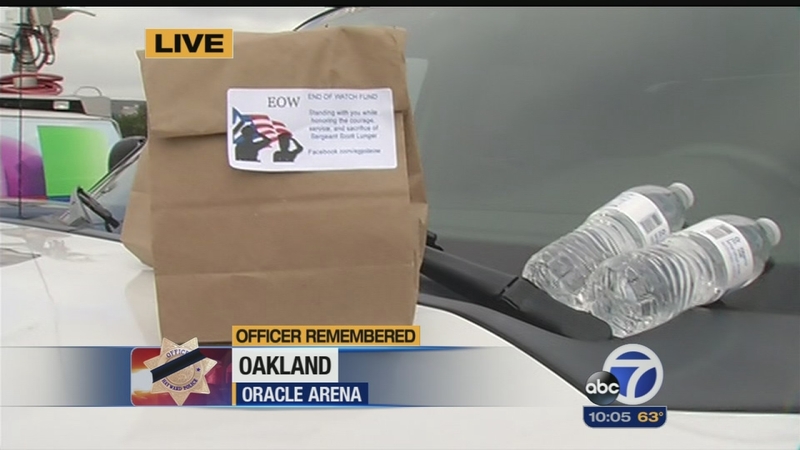 Care packages were left on the cars of officers who attended the funeral of Hayward Police Sgt. Scott Lunger. Click here for details on the procession and memorial, and click here for a full coverage on fallen Sgt. Lunger.